America – music. travel. repeat. 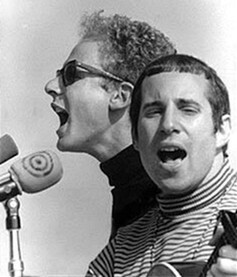 This classic from Simon and Garfunkel was first released in 1968, but it wasnt until a few years later that this song became a bit more popular. To me this song reflects what I imagine to be the music from this era. Interestingly enough, S&G “Bookends” album that this song was on was actually one of the first to have unrhymed lyrics which is pretty revolutionary. I love the story this song tells as well, of two lovers journeying across America to discover its true essence. Again, very reflective of the sentiment of the day which is why I think the song is so iconic. Do you have any songs that you think really represent that tumultuous time of the late 60s? If so, let me know! Previous Post Previous post: Best Music Video of All Time?